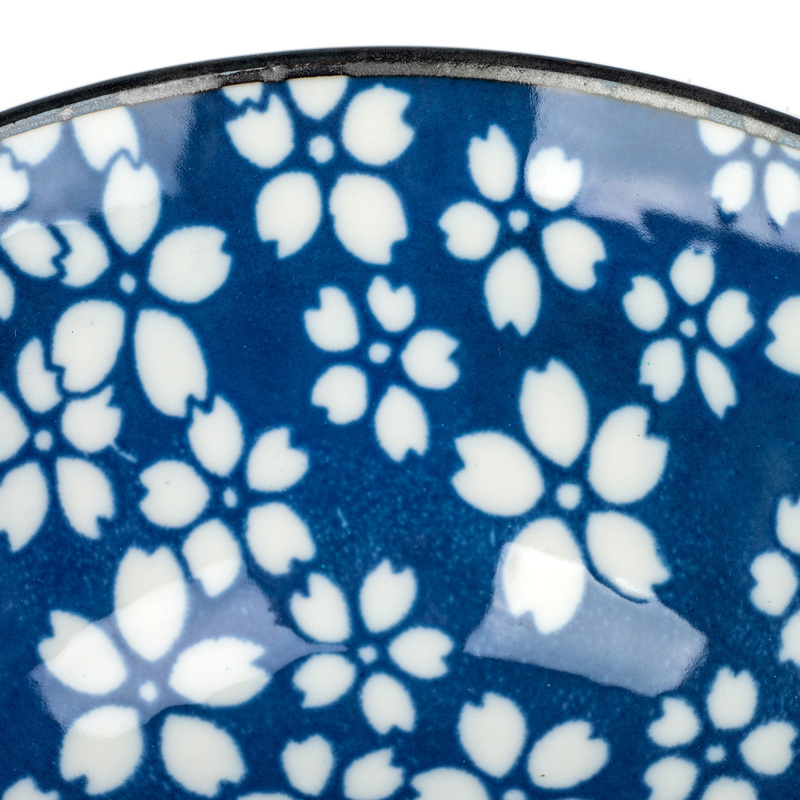 The Sakura Traditional Japanese Tayou Bowl is a multi-purpose, porcelain, authentic Japanese bowl. Classic blue and white cherry blossom design, Sakura, means cherry blossom and tayou means all purpose! Size: 500ml, 15cm diameter x 7cm deep / 6 x 2.75 inches. Made in Japan, suitable for home or restaurant use and dishwasher / microwave safe. Exclusive to The Japanese Shop and perfect for a cosy night in with your favourite take-away! 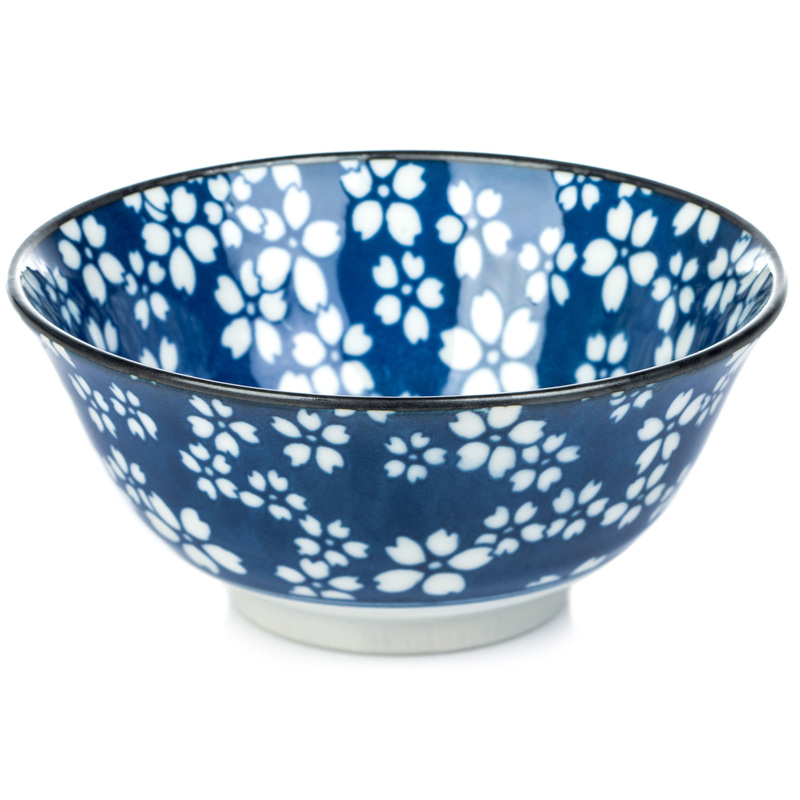 Perfect for a cosy night in with your favourite take-away, the Sakura Traditional Japanese Tayou Bowl is a multi-purpose authentic Japanese bowl with a classic indigo blue and white cherry blossom design. Sakura, means cherry blossom, and tayou means all purpose! 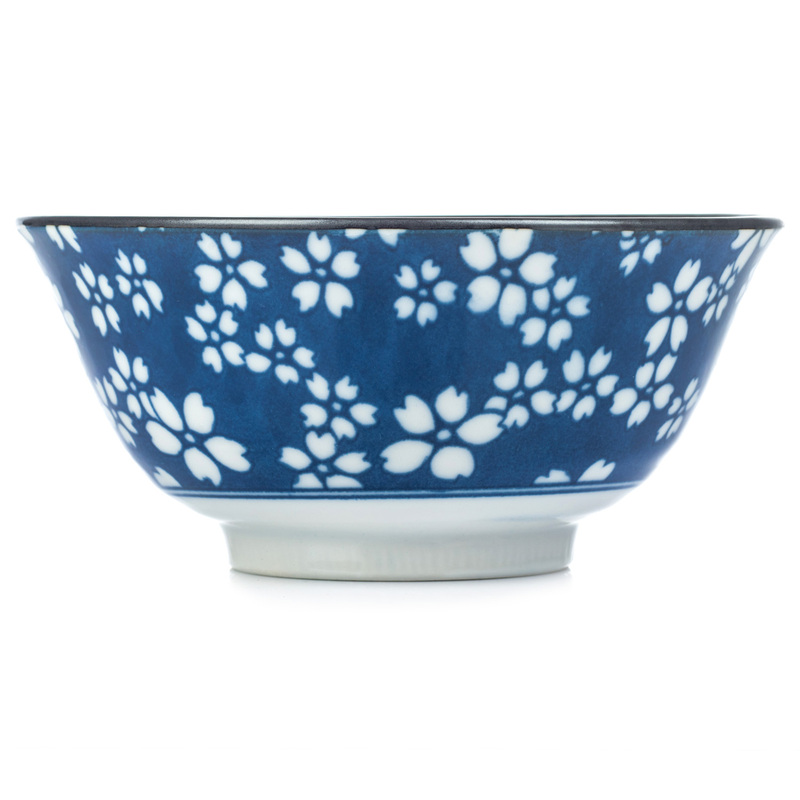 Exclusive to The Japanese Shop and made in Japan from a good quality porcelain, the Sakura Traditional Japanese Tayou Bowl is suitable for home or restaurant use and dishwasher / microwave safe. A very useful and attractive little Japanese gift for all Japanese food lovers! Order your Sakura Traditional Japanese Tayou Bowls online today and have them gift wrapped free of charge, or visit our showroom for this and many more traditional Japanese bowls! All the products I received (including Sakura Traditional Japanese Tayou Bowl) are very beautiful, and of high quality, and I will soon be back with another order. It was Emily's birthday yesterday and she opened the gift that was beautifully gift wrapped by yourselves. Emily was thrilled with the gift tag that was written in Japanese and absolutely loved that Ramen bowl and matching chopsticks. Thank so much and we will definitely be using your company again. We bought 2 of these Seikaiha Ramen Bowls and they are very pretty and of super quality. Having just returned from our first trip to Japan these bowls will help us to recreate the experience of eating ramen and will bring back many nice memories. Well packed and delivered quickly.